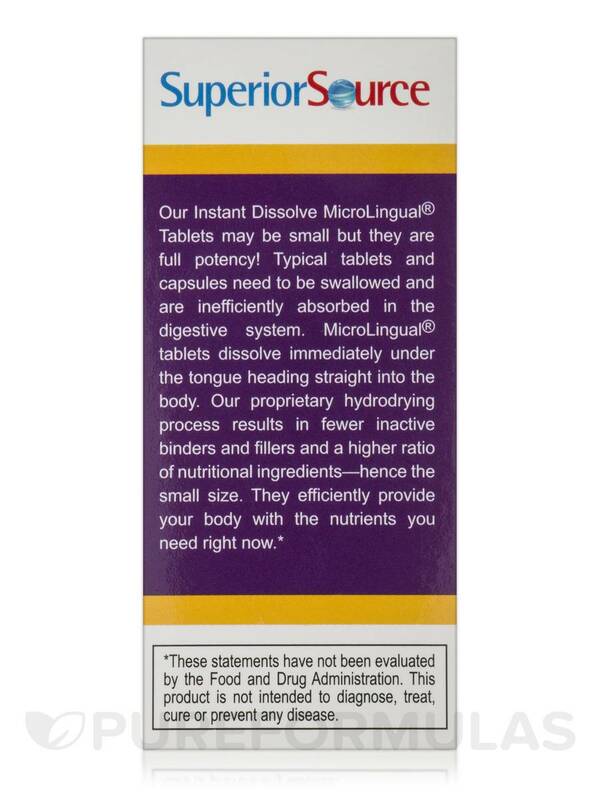 Our Instant Dissolve MicroLingual® Tablets go to work fast‚under the tongue. 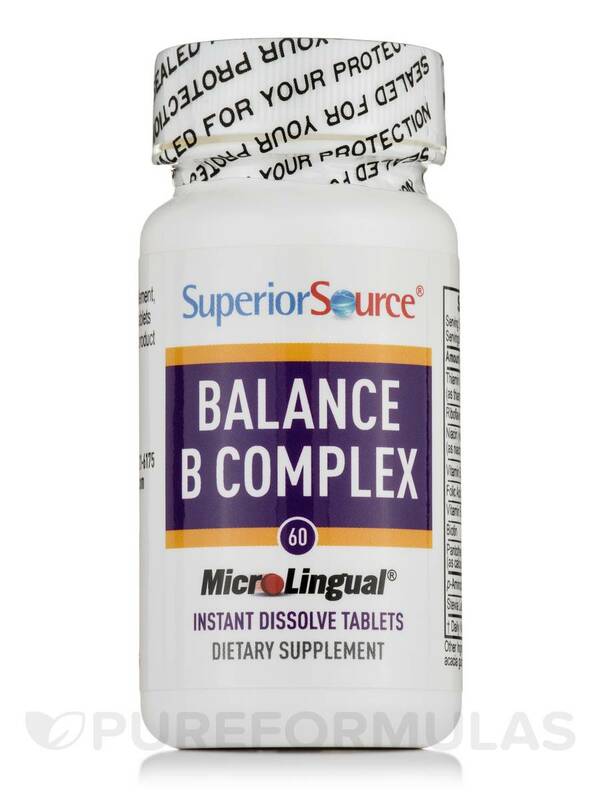 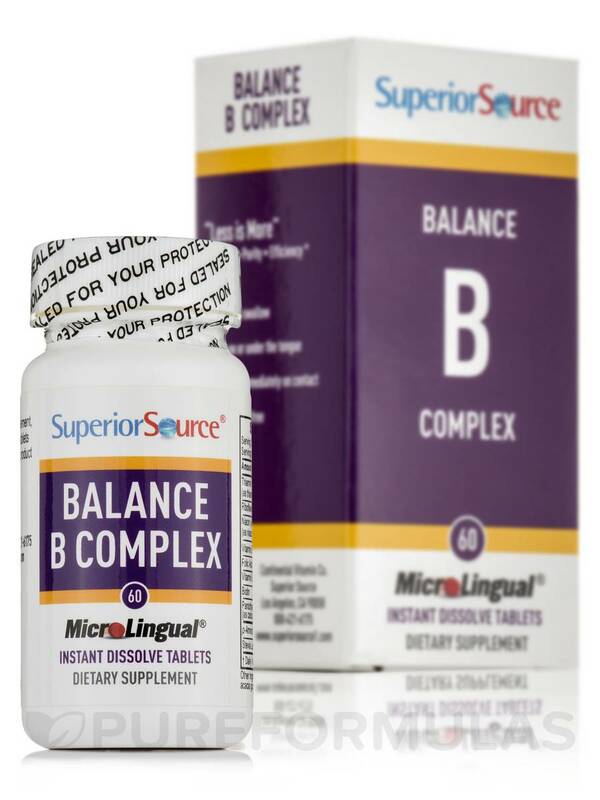 Balance B-Complex with Extra Folic Acid & Biotin is a combination of nutrients that helps to protect the body from symptoms of stress‚ promotes healthy emotional balance‚ supports the optimal functioning of the heart and cardiovascular system‚ maintains healthy skin and muscle tone‚ enhances nervous system function and supports the immune system. 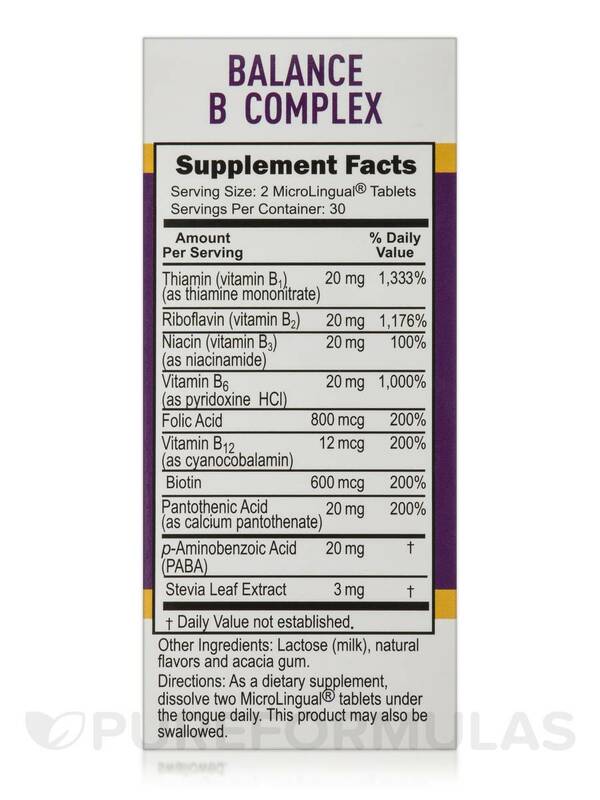 Biotin helps to maintain healthy blood sugar levels and enhances the strength of nails and hair. 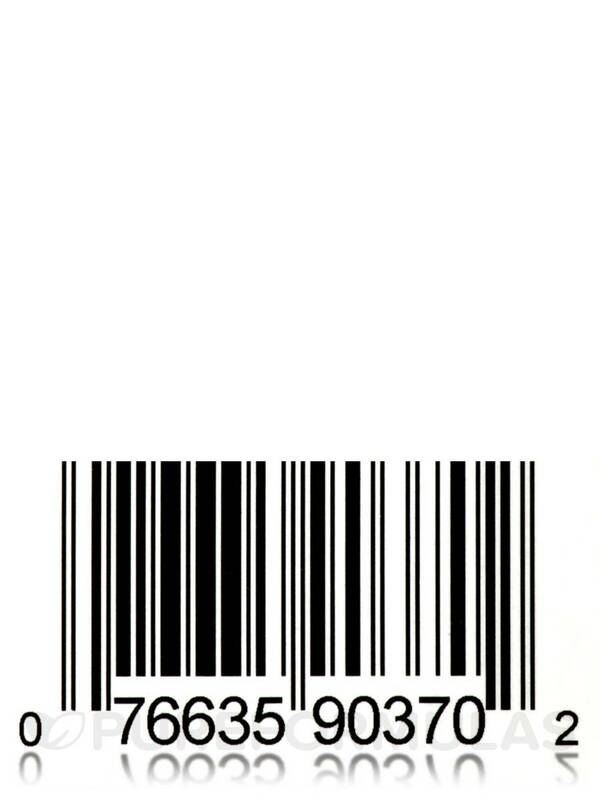 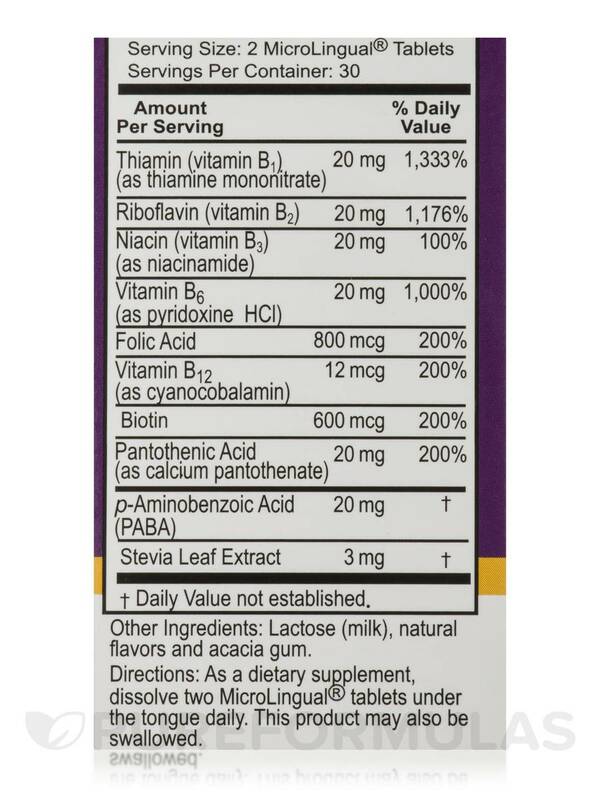 Other Ingredients: Lactose (milk)‚ natural flavors and acaica gum. 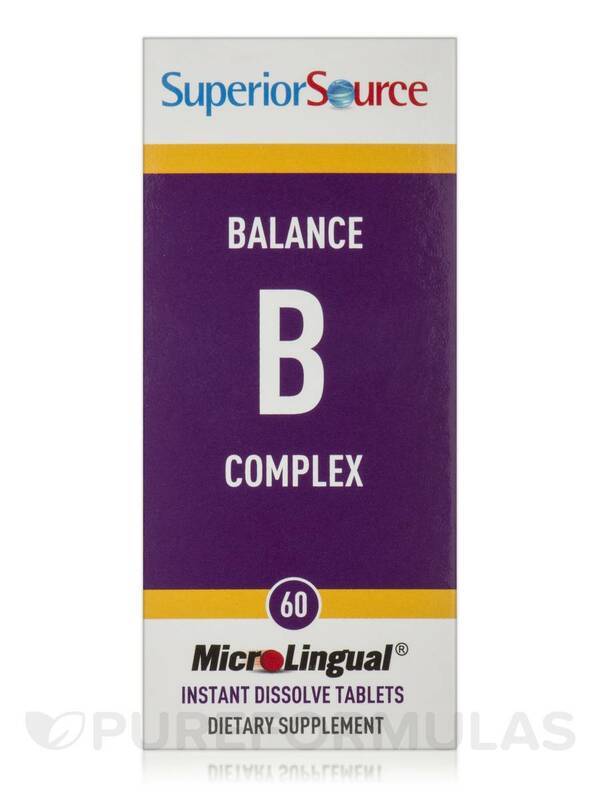 As a dietary supplement‚ dissolve two MicroLingual® tablet under the tongue daily. 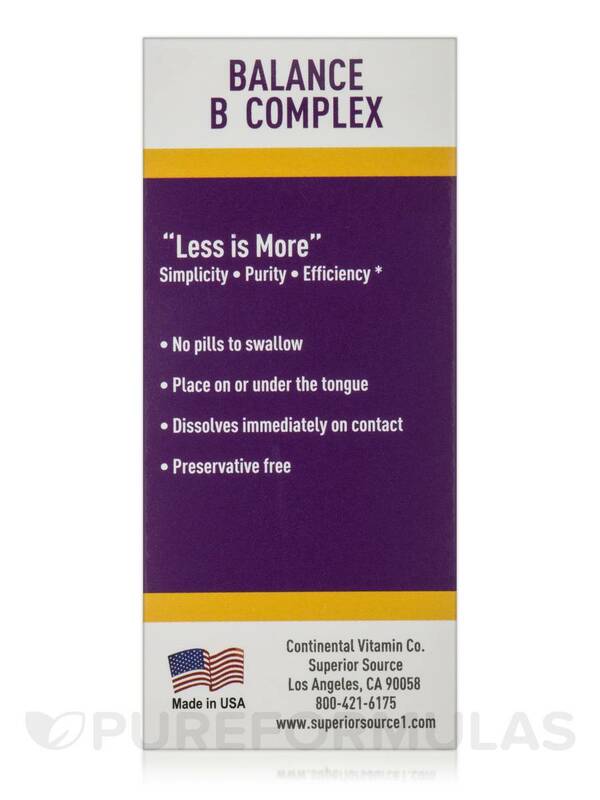 May also be swallowed as you would a regular tablet.